Review: Now that Solo is hitting Blu-ray and DVD we can rid ourselves of much of the speculation and concerns. If you follow the Star Wars grapevine you know all about the firings and shakeups that rattled production. No one should have been concerned though since Producer Kathleen Kennedy trusted Ron Howard with directing and so should we. Many may say that Howard played it too safe with this one and what we ended up with was a milk toast version of the greatest smuggler in the galaxy. I for one believe that we got what we needed and with all the original storylines added it still felt like an origin story; even if not a Star Wars story as the title pronounces. For those, like me, who have read the Solo trilogy books it is best that you separate yourselves from them completely. To compare them would lead to frustration and a lack of appreciate for what is on the big screen. The core elements of Han Solo’s beginnings are there and make a path to where we meet him in Episode IV. The continuity works even if some of the context is new and fresh. Bottom line: it all makes sense. Many may prefer to watch this as simply a fun, sci-fi action film about a young, cocky hero. If Star Wars never existed this one would still be entertaining with likable characters and easy to follow plot lines. Han is a multi dimensional character with a rough exterior protecting a soft nougat center. We see that in both A New Hope and Force Awakens. The new Solo movie also gives us that personality we are accustomed to with Han. There are lots of adventures in this one as young Solo escapes the streets of Corellia, joins the Empire, tangles with smugglers, and tries to save the woman he loves. All fantastic elements for an action flick. Along the way Star Wars fanatics get to watch other familiar characters like Chewbacca and Lando Calrissian join the fold. Movie lines from the original trilogy that we all know by heart come to greater life as we see how they came to be. At the same time these elements aren’t inside gags and new comers to the universe won’t feel left out of the joke. One of the biggest questions we had two years ago was, “who can accurately portray young Han Solo?”. Such an iconic character can’t be given to just anyone. Alden Ehrenreich got the job and most people had to go look him up on IMDb. Alden is a fine Han. But like the rest of the movie fine seems to be the goal. 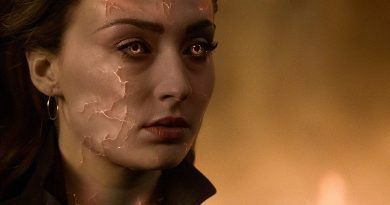 As if all the production meetings started with, “let’s just not mess this up.” To be honest I would rather have a safe movie that doesn’t mess up my beloved characters than an out of the box risk that betrays the brand. For that reason I liked the movie. Others will crucify it for the same reason. The supporting cast are solid. To be fair I will say that Donald Glover as the young Lando was dang near perfect. This could almost have been his origin story. Glover nails every nuance of the suave lady’s man that Calrissian is. it is a safe bet that the Disney studios are clamoring now to make a Land film after seeing what Glover did with the role. It is that fantastic. Woody Harrelson, Paul Bettany and Emilia Clarke all step up to deliver seamless characters. 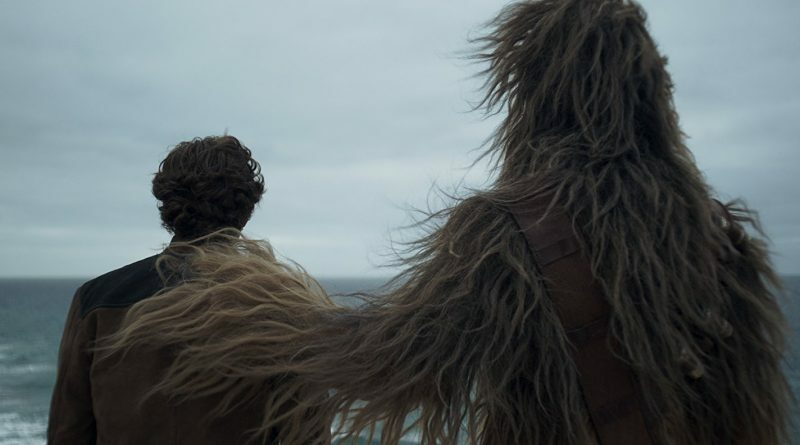 Joonas Suotamo gives us a believable Chewie even though no one will ever move the furry sidekick like the great Peter Mayhew. 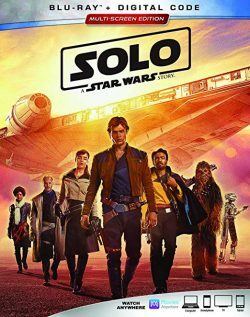 Solo: A Star Wars Story is rated Rated PG-13 for sequences of sci-fi action/violence. There is nothing that parents should be warned about. If your family loves Star Wars and Marvel films then this one is as tame a PG-13 film as they get. I give it 3 out of 5 blood stripes. It was enjoyable, fun, and adventurous. How will it fit in the Star Wars universe? Time will tell. Will I watch it if A New Hope is on at the same time? Nope.